Tyler served in the US Army for 7 years and was deployed to Iraq from 2006 to 2007 and again to Afghanistan in 2009 to 2010. He is 30 years old, married, and has young children. As a result of his wartime deployments, Tyler suffers from a Traumatic Brain Injury (TBI), Posttraumatic Stress Disorder (PTSD) and anxiety. While serving in Iraq, Tyler stopped a truck bomb (VBIED) from entering his patrol base and likely causing extensive damage and casualties to his fellow coalition forces. For his valiant and heroic actions that day, Tyler received a Purple Heart Medal and was awarded the Bronze Star Medal with Valor. 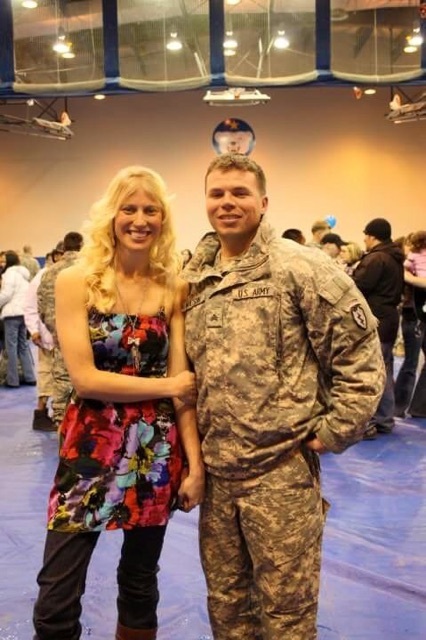 Since his separation from the Army in 2012, Tyler has continued to struggle. He deals with a daily and constant slew of emotions and overwhelming anxiety. Tyler’s struggles keep him from being able to fully participate and be present with and for his young family. His family is his anchor. He wants nothing more than to be there for them. In hopes of finding hope and healing, Tyler is participating with VETERANS ON THE CAMINO this spring and will walk the ancient 500-mile journey alongside the founder, Brad Genereux. His goal is to come to terms with his time in the service and to find inner peace to once again live life to the fullest. Matt, looking forward to you joining!